The UT Tower is lit up after Texas defeats Oklahoma in football. This morning image was taken the morning after a little before first light. 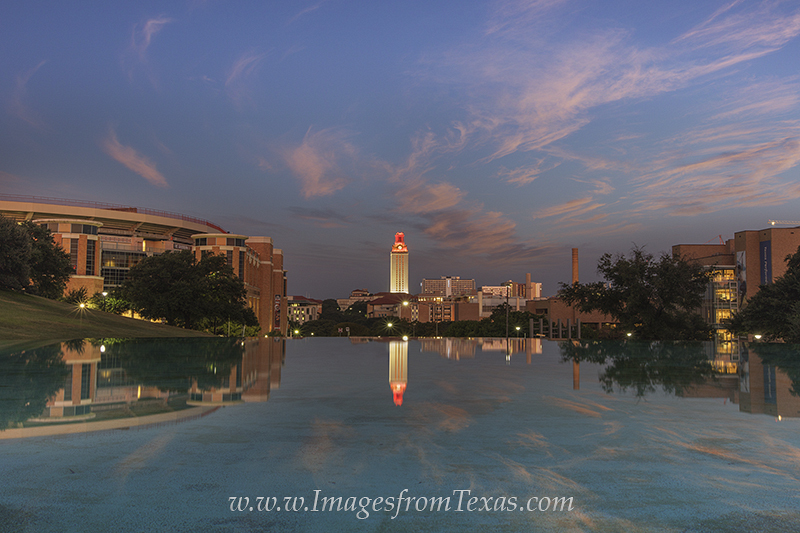 The clouds were an unexpected treat and only lasted a few minutes, but the reflection in the pool made this image from the Texas campus special. Photo © copyright by Rob Greebon.